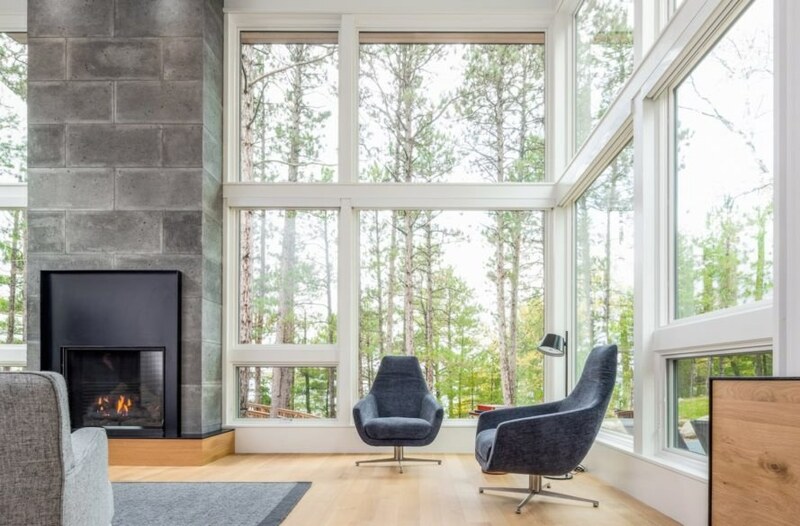 Nature takes center stage in the Northern Lake Home, a gorgeous luxury house hidden away in the woods of northern Minnesota. 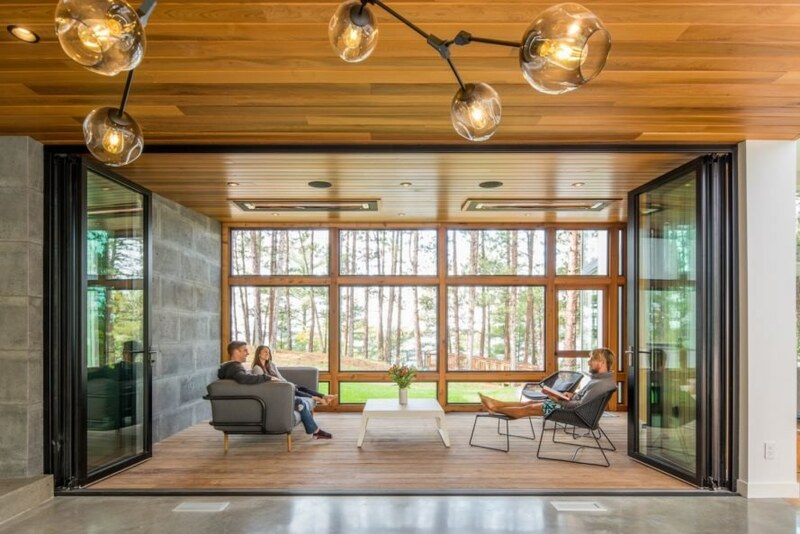 Designed by Strand Design, this 4,800-square-foot vacation retreat frames views of the forest in every room through large windows that let in natural light and blur the line between indoors and out. Natural materials, including oak and cedar, strengthen the connection with the outdoors, and they are complemented by clean and minimal Scandinavian-inspired interior design. 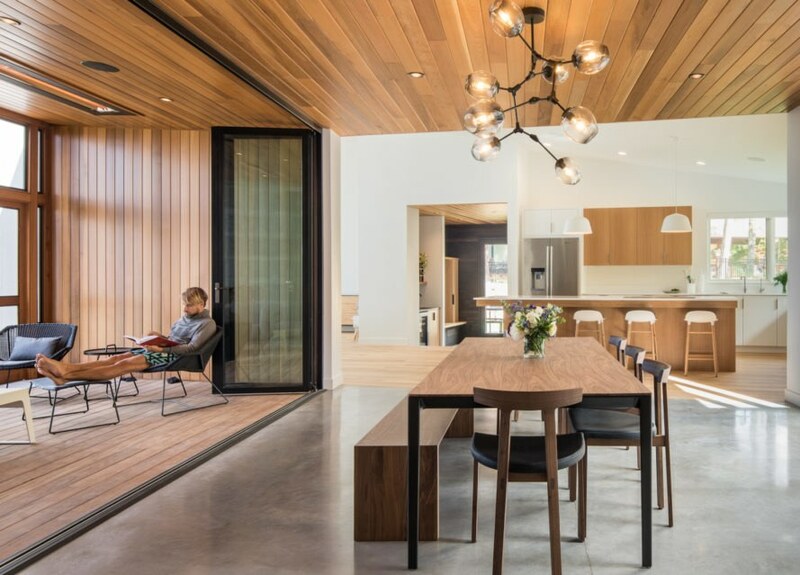 Built for a young Minnesotan couple, the Northern Lake Home combines the clients’ love for active lifestyle with modern Scandinavian design. The large residence is split into two main volumes—one for communal areas and the other for bedrooms—connected with a glass core with operable glazed walls that combine the dining and private lounge. Darkened cedar clads the facade to help the home blend into the forested landscape, but is contrasted by a bright and warm light-filled interior with rift-sawn white oak finishes. Large panes of glass frame the landscape as well as views of the lake through the embankment. “Splaying out to the lake beyond and nestled into a natural swale, the public spaces contour along the landscape blurring the distinction between its built and natural environments,” wrote the architects. Daylight bounces off the home’s white walls, giving the interior an even greater feeling of spaciousness. The minimalist, Scandinavian-design can be seen in the choice of furnishings that gives the rooms a strong and elegant character. 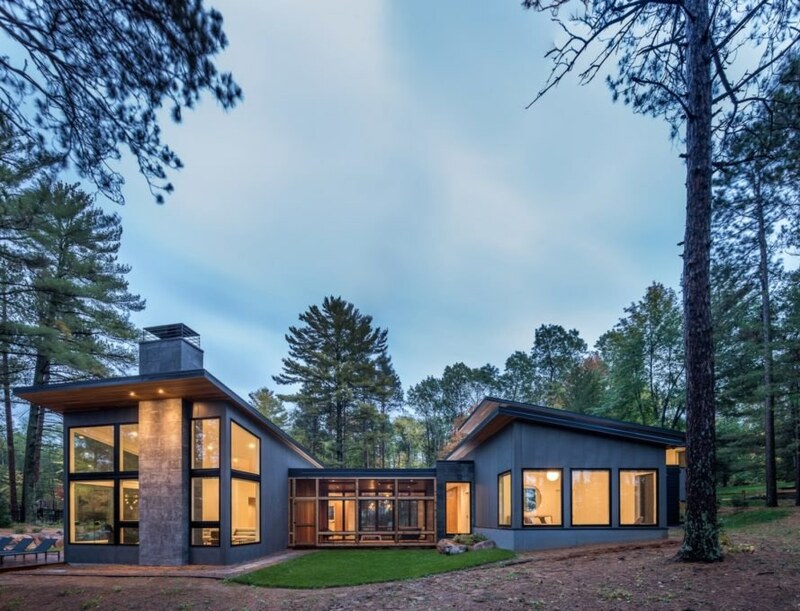 Nature takes center stage in the Northern Lake Home, a gorgeous luxury home hidden away in the Minnesotan woods. 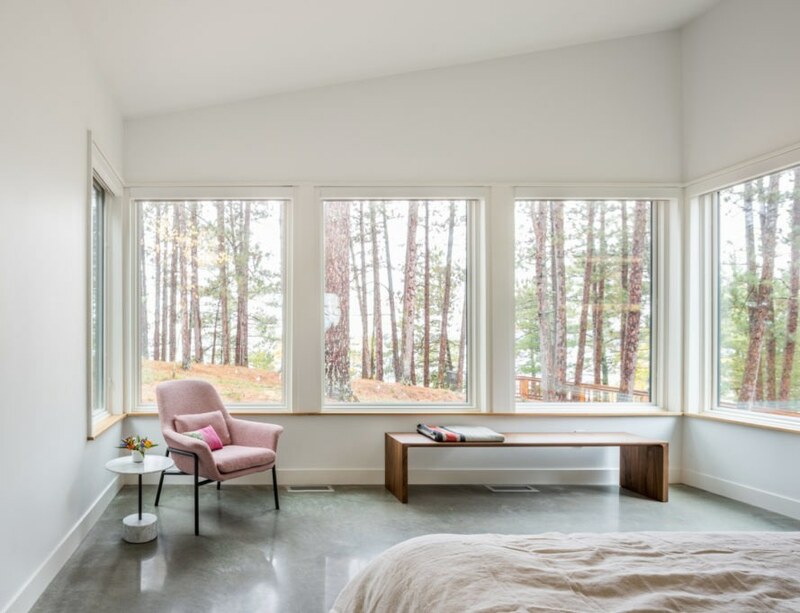 Designed by Strand Design, this 4,800-square-foot vacation retreat frames views of the forest in every room through large windows that let in natural light and blur the line between indoors and out. 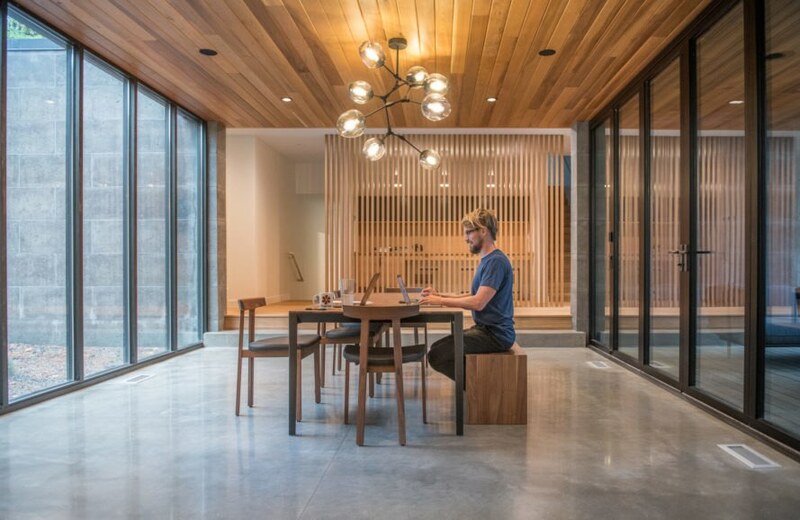 Natural materials, including oak and cedar, strengthen the connection with the outdoors, and are complemented with a clean and minimal Scandinavian-inspired interior design. 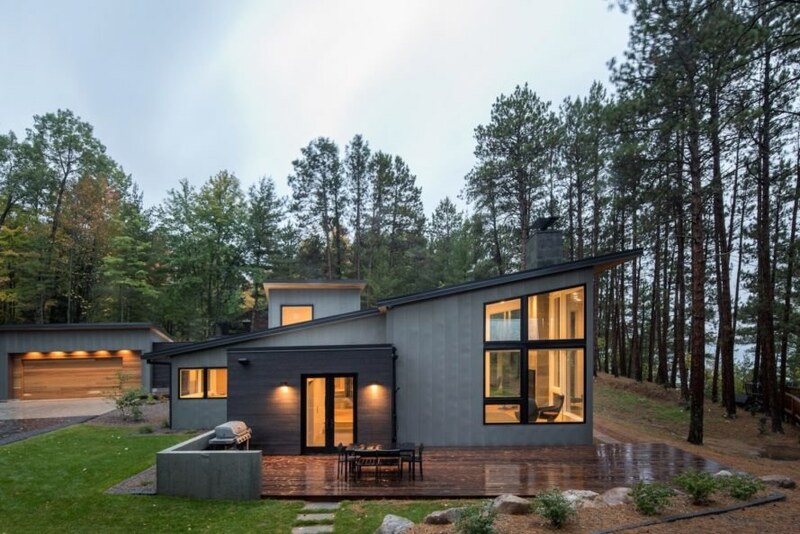 Built for a young Minnesotan couple, the Northern Lake Home combines the clients’ love for active lifestyle with modern Scandinavian design. The large residence is split into two main volumes—one for communal areas and the other for bedrooms—connected with a glass core with operable glazed walls that combine the dining and private lounge. Darkened cedar clads the facade to help the home blend into the forested landscape, but is contrasted by a bright and warm light-filled interior with rift-sawn white oak finishes. Large panes of glass frame the landscape as well as views of the lake through the embankment. “Splaying out to the lake beyond and nestled into a natural swale, the public spaces contour along the landscape blurring the distinction between its built and natural environments,” wrote the architects. Daylight bounces off the home’s white walls, giving the interior an even greater feeling of spaciousness. The minimalist, Scandinavian-design can be seen in the choice of furnishings that gives the rooms a strong and elegant character.